The workshop was planned and presented in collaboration with the Transplant Therapeutics Consortium (TTC), a public-private partnership between the Critical Path Institute (C-Path), FDA, transplantation societies, and members of the pharmaceutical and biotechnology industries. Day one of the workshop started with an overview of the formation of the TTC and its role as a public-private partnership in furthering the drug development goals of the transplant community. A series of presentations and discussions examining how biomarkers could be utilized to meet unmet needs in the transplant drug development process followed. The presentations considered existing biomarkers that could inform patients’ immunologic risk of organ rejection and improve clinical trial design through better patient selection and optimized outcome measures. The impact these candidate biomarkers may have in clinical practice and personalization of patient care was also considered. 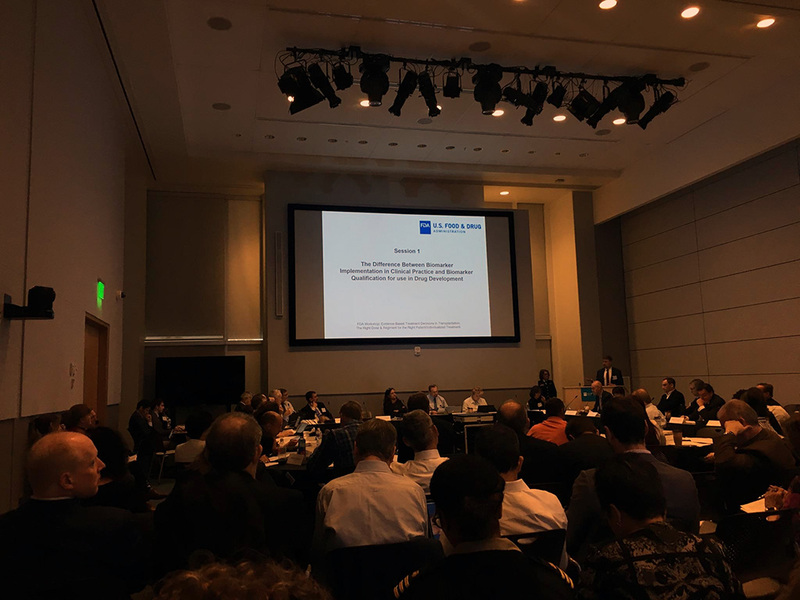 The discussion included an overview of the Biomarker Qualification Program at FDA, a new provision of the 21st Century Cures Act, and how this program serves as a mechanism to those seeking the regulatory endorsement of biomarkers for a specific context of use in drug development. The day concluded with a session on clinical center practices and the steps toward forming collaborative clinical trial networks. Day two of the workshop focused on Patient Focused Drug Development in transplant medicine. A panel of five transplant recipients provided the patient voice, offering their perspectives on life after transplantation, the significant challenges associated with life-long immunosuppression therapy, medication tolerability, and factors affecting medication adherence. 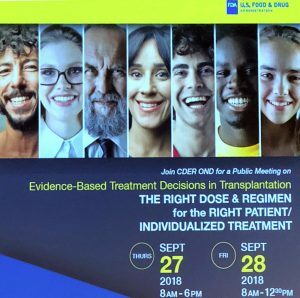 Highlighted in this session was the need for the transplant community to work together to develop novel therapies that are safe and efficacious, better tolerated by patients, and incorporate the patient voice into their development. Over 180 participants joined the two-day event, both in person and via webcast. To view meeting materials, webcast recordings and meeting transcripts, click here.